"Beniamino Gigli was an Italian opera singer, the most famous tenor of his generation, renowned internationally for the great beauty of his voice and the soundness of his vocal technique. Music critics sometimes took him to task, however, for what was perceived to be the over-emotionalism of his interpretations. Nevertheless, such was Gigli's talent, he is considered to be one of the very finest tenors in the recorded history of music. 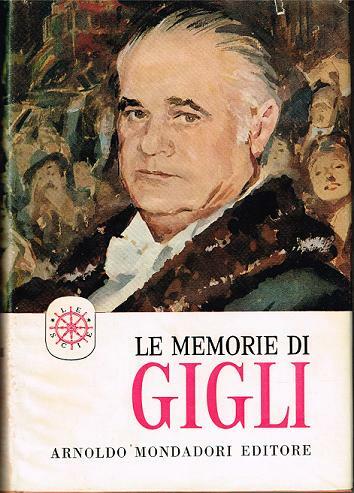 Gigli rose to true international prominence after the death of the great Italian tenor Enrico Caruso in 1921. Such was his popularity with audiences he was often called 'Caruso Secondo', though he much preferred to be known as 'Gigli Primo'. In fact, the comparison was not valid as Caruso had a bigger, darker, more heroic voice than Gigli's honey-toned lyric instrument. In the last few years of his life, Gigli gave concert performances more often than he appeared on the operatic stage. Before his retirement in 1955, Gigli undertook an exhausting world tour of farewell concerts. This impaired his health in the two years that remained to him, during which time he helped prepare his memoirs."